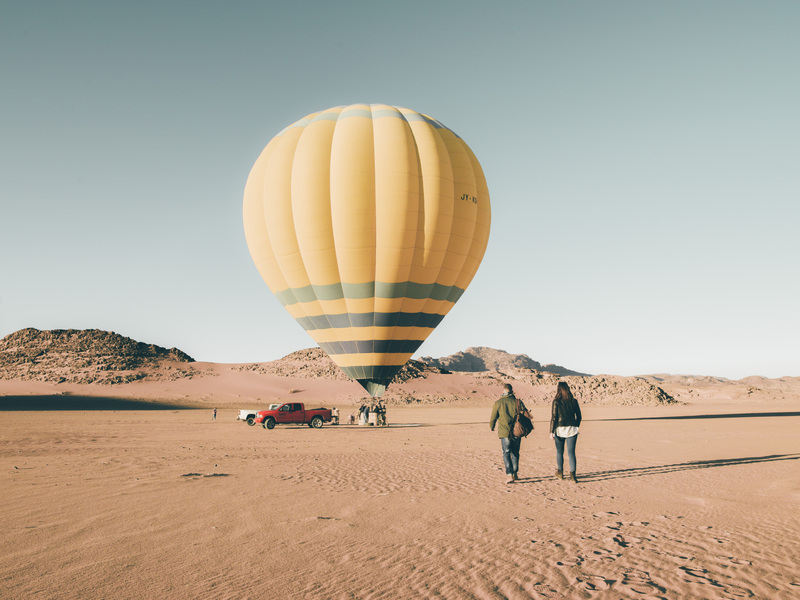 Taking a balloon ride has been on our adventure bucket list for a while. 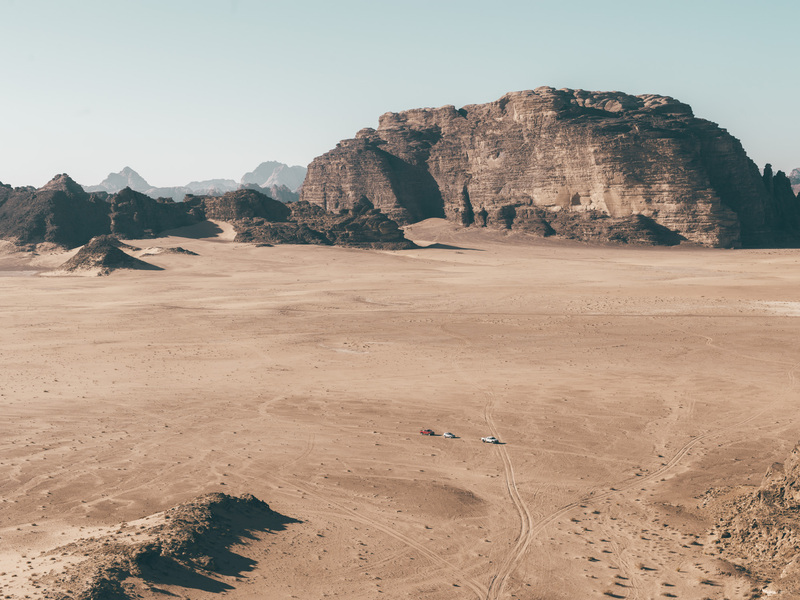 Our wish finally got fulfilled during our Jordan trip, and we couldn’t have dreamed for a better place to fly over that Wadi Rum. Unlike many other popular balloon fights destinations, you won’t see a skyline full of them in the Hashemite Kingdom. 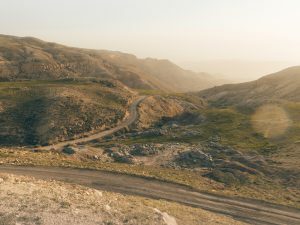 In Jordan, the activity is more of an exclusive experience, as currently there’s only one pilot and company performing flights daily. 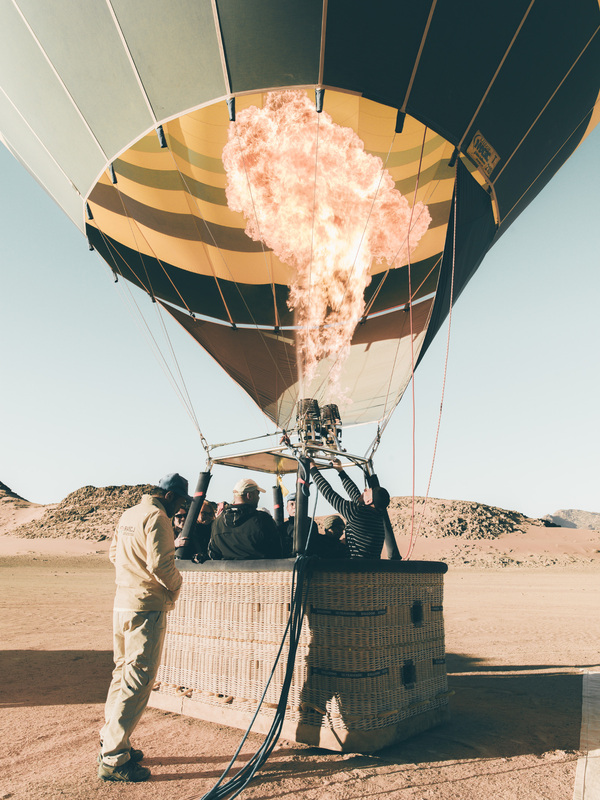 In association with RASCJ – the Royal Aero Sports Club of Jordan – captain Khaled and his team at Rum Balloons will make sure that your experience is one to remember. 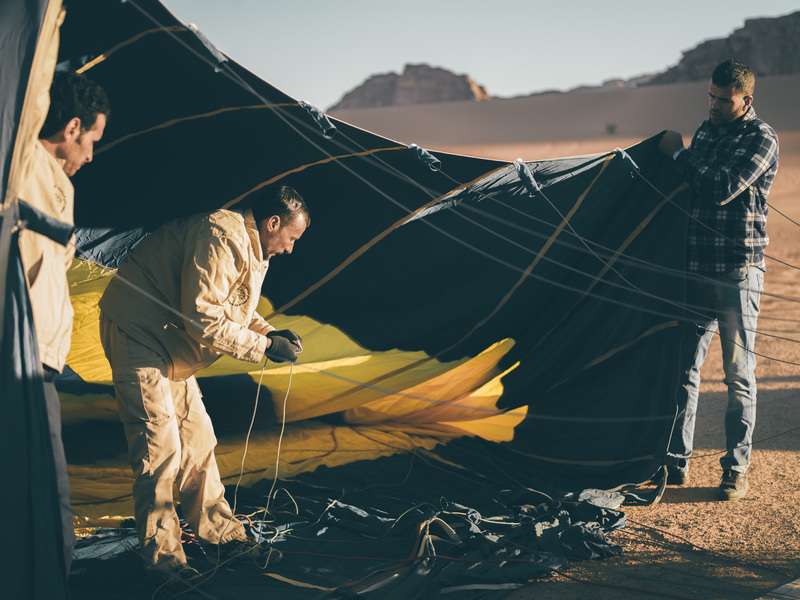 The balloon flights are taking place within the Wadi Rum protected area, with breathtaking views opening up from every direction. We were very surprised on how smoothly the balloon is floating in the air, with only the heat release in the envelope (the balloon part itself) to be breaking the silence. The ride was fascinating, and all the information and stories told by captain Khaled on board did additionally enhance the experience. 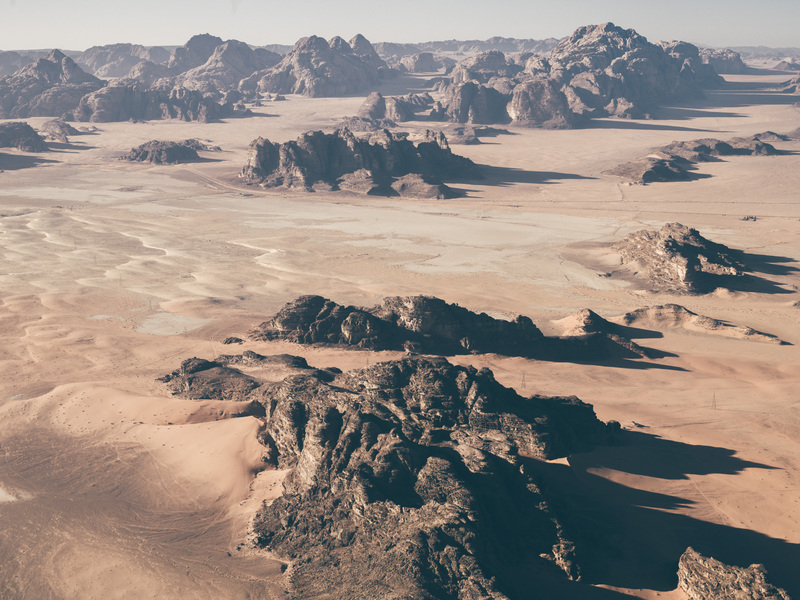 We could see all the amazing natural rock formations from birds eyes, like the Seven Pillars of Wisdom, along side astonishing red sand dunes across the desert, and even the Israeli border from afar. The flight lasted about an hour or so, raising at 6,000 feet high, to then descending only at 2 meters above the ground, feeling that you can touch the sand stones. 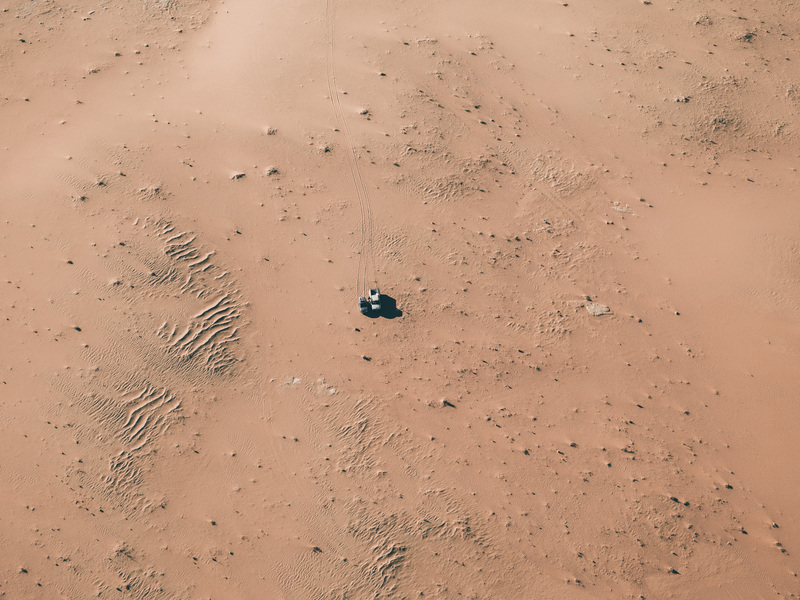 We were even able to spot a desert rabbit jumping from rock to rock, and captain Khaled showed us an area that had been filmed for a new movie production only a few days ago. 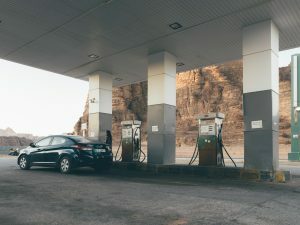 The whole experience took about 2-3 hours, from pick up to drop off, and it’s all booked in advance. As there is only one flight a day, and spaces are very limited, we recommend getting in touch with captain Khaled as early as possible before traveling, to make sure you reserve your spot for the dates you need. 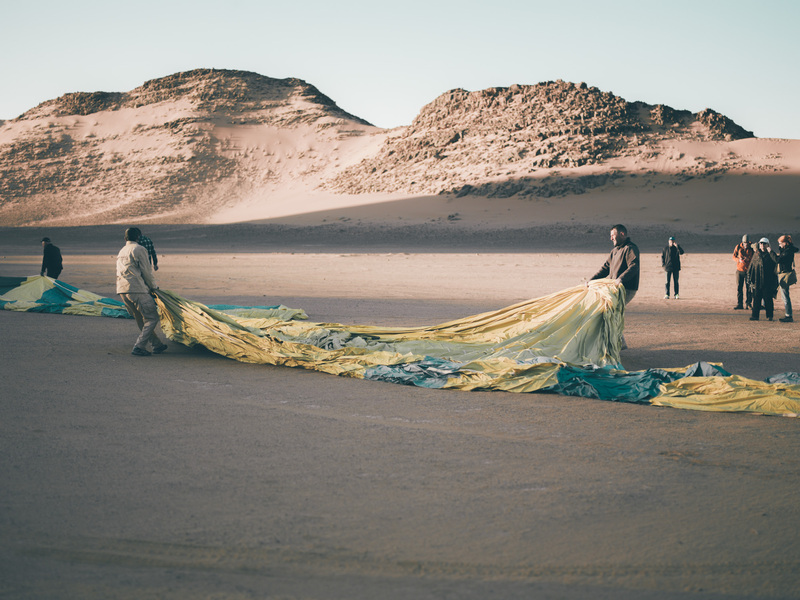 Due to strong reliance on weather conditions, some days balloon rides are not possible, but the Rum Balloons team would notify you on the day if that the case and give you the opportunity to reschedule the flight for another morning. 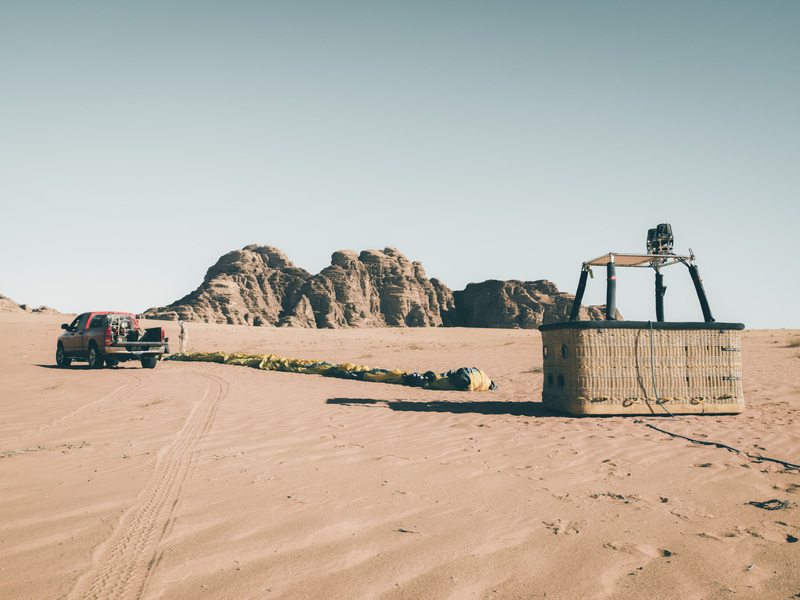 Once we landed, the Rum Balloons team treated us to some hot coffee and tea, complemented by variety of sweets, when we were able to chat more about the intricacies of flying a balloon, as well as many interesting fact about the Jordanian history and culture. We were in awe of the level of service and the experience from start to finish, and can’t praise the Rum Balloons team highly enough. 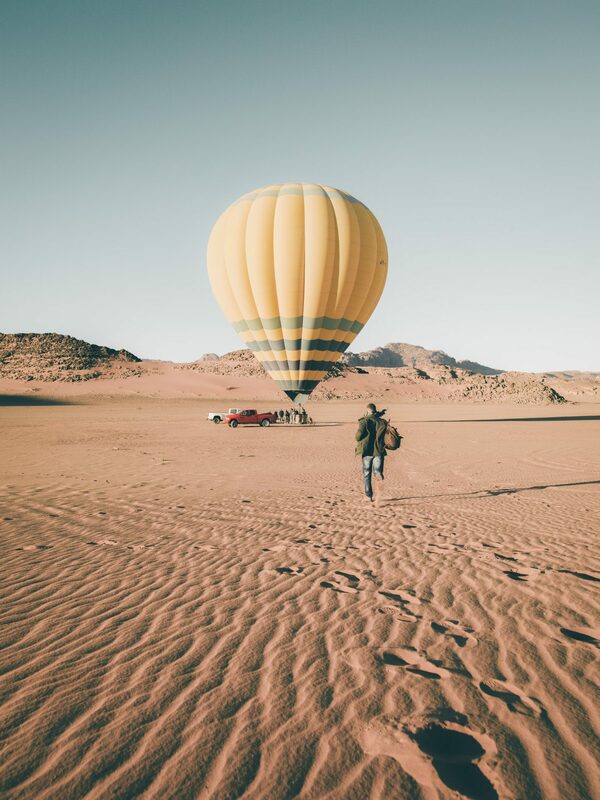 If you are after those kind of unique experiences, and like to avoid the crowds like we do, a balloon ride over Wadi Rum definitely needs to be added to your Jordan trip itinerary. 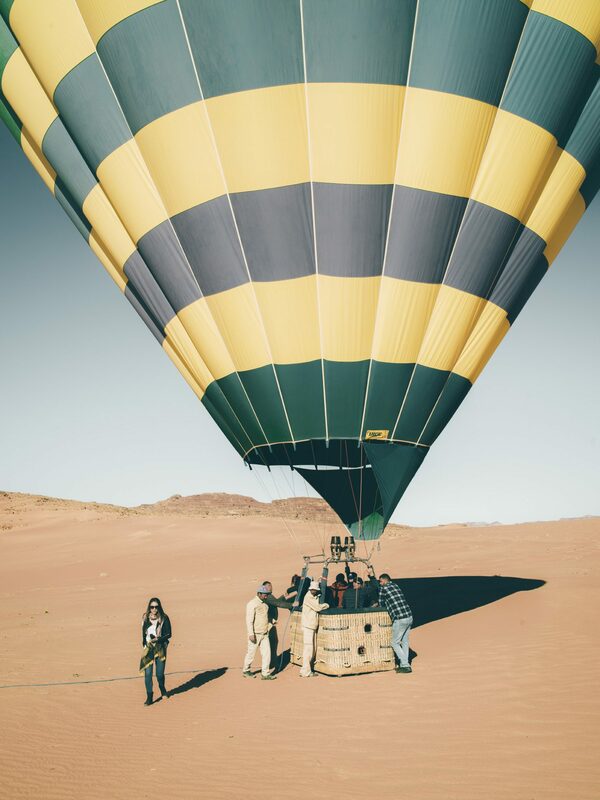 To book your balloon ride, get in touch with captain Khaled directly or via the RASCJ website.